On Saturday, September 24, 2011, I drove Washington State Route 150 along the shores of Lake Chelan and down to the banks of the Columbia River. 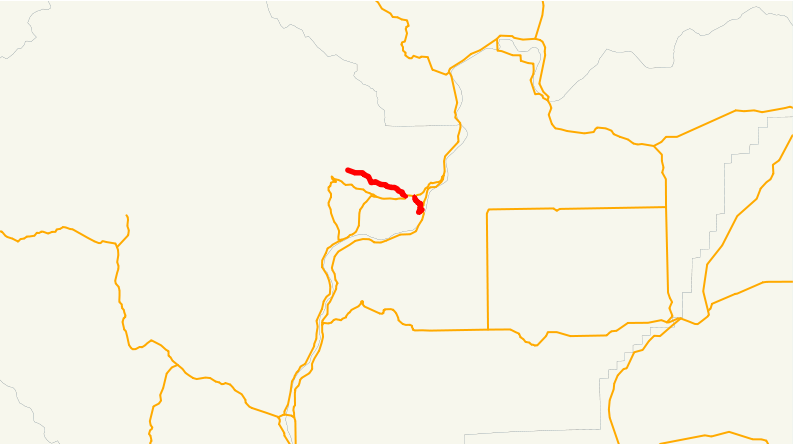 Beginning at Manson, thence southeasterly to the north of Lake Chelan to a junction with state route number 97-alternate at Chelan. 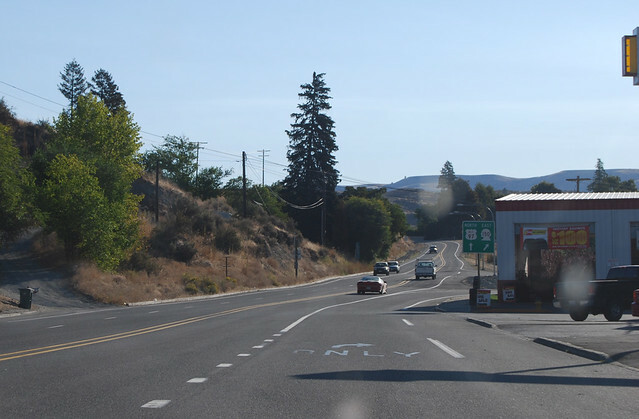 Also beginning at a junction with state route number 97-alternate at Chelan southerly to a junction with state route number 97 in the vicinity of Chelan Station. So here we begin, on the eastern outskirts of the town of Manson, with apple orchards scattered all around. 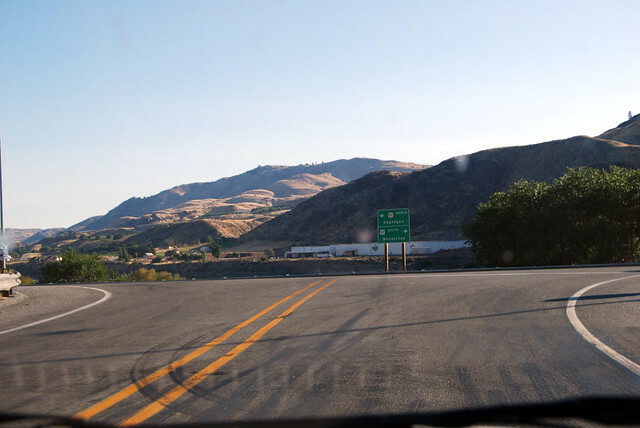 Highway 150 then proceeds eastward along the north shore of Lake Chelan, twisting and turning along the water's edge. Oh, how nice it would be to live in one of those houses! The lake is 55 miles long, but we only can see a small portion of it. 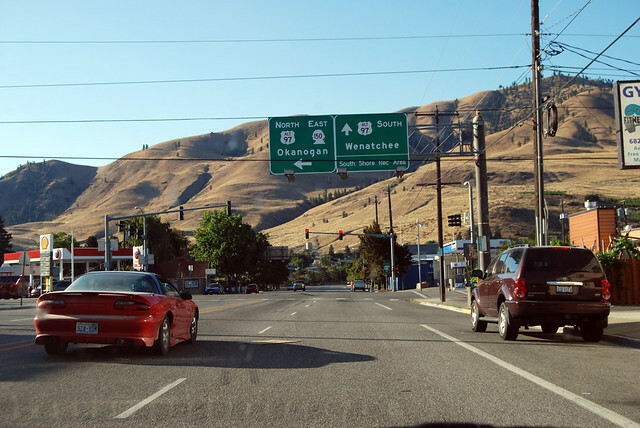 After a few miles, we enter the city of Chelan. The city had a day of powerboat racing scheduled, so the place was hopping. 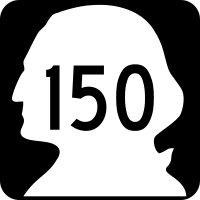 In town, SR 150 makes a turn south. At the next block, it intersects US Alt 97. Or is that US 97 Alt? Turn left to continue east. 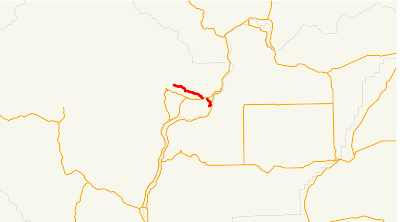 A mile eastward, SR 150 branches away from US Alt 97 and resumes its path alone onto what was SR 151 until 1987. 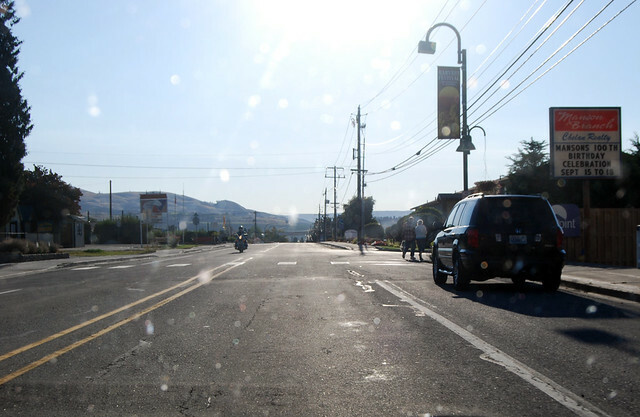 Highway 150 starts downhill, passing many fruit-packing warehouses. The hillside gets steeper and steeper as we drop down to the Columbia. This part used to be the northern end of SR 151, until US Highway 97 was completed for the few miles north of here. A little confusing, perhaps, but it made sense 25 years ago. After a switchback, we cross the railroad tracks and arrive at the junction with US 97. Our highway is at an end.